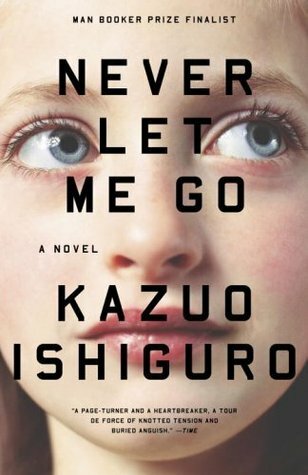 Ishiguro gives us a tale of friendship, loss, nostalgia and memory. His style and prose reflect these themes wonderfully, which really piqued my own memories of places which no longer exist. His use of landmarks, whether physical or artistic, in creating a rush of information was somehow familiar, yet there was a real sense of jumble, with the memories given to us not seeming to follow any kind of linear structure, and although this becomes tiresome after a while, it resonates well with how the human mind treats memories, and how each of tell stories by wandering off the path into another story and having to revert back. During the novel, I felt the characters were being explored deeply, and that I knew them very well. Only now do I understand there was nothing entirely unique nor likeable about any of them, and that their personalities and quirks weren’t really explored at all, particularly for our protagonist, Kathy. Due to my lack of love for any of them, the relationship between the main trio felt trite and absurd to me; a caricature of a high-school love triangle. Except I didn’t feel any of the supposed love they felt for each other; each of them seemed to be on their own, despite part of a group, and nothing given portrayed any overt feelings of love, whether romantic or otherwise. They were bland, vague, and mysterious; entirely akin to the plot itself. The ‘system’ our characters find themselves in is compelling, and yet Ishiguro is irritatingly averse to giving out details on this. We learn the students’ fate as they do, piecemeal and without context. Nothing is clarified, every inch of information feels like a wisp of a rumour floating around in the air and never touching another. I would have devoured more information on this alternative world, but it was kept secret from me. Towards the end, where the characters were more immersed in the system, I felt more information on this was not only possible, but absolutely required. It didn’t come. There is absolutely no attempt, as is often the case in these types of novels, to rebel against the system. Not a single one of the characters even came close to creating resistance. Although this seems like the natural thing to do (or are we all disillusioned by dystopian fiction? ), I think the lack of rebellion is important. We all accept and conform to our lives in some way; we work to earn, we consume, we find a companion and perhaps marry them, we reproduce – it’s expected. Ishiguro’s characters do exactly what they were born to do, and although horrific, they do so without complaint. Do I think the novel could have been better with some regime-crushing? Yes. Do I understand why he’s chosen not to go with this? Also yes. The focus here is hugely on nostalgia, memory, and relationships, to the point where Ishiguro has neglected to properly explain his plot. I have a real mixed collection of feelings on this novel, but the main overarching one is that of being robbed of something you never truly owned in the first place.